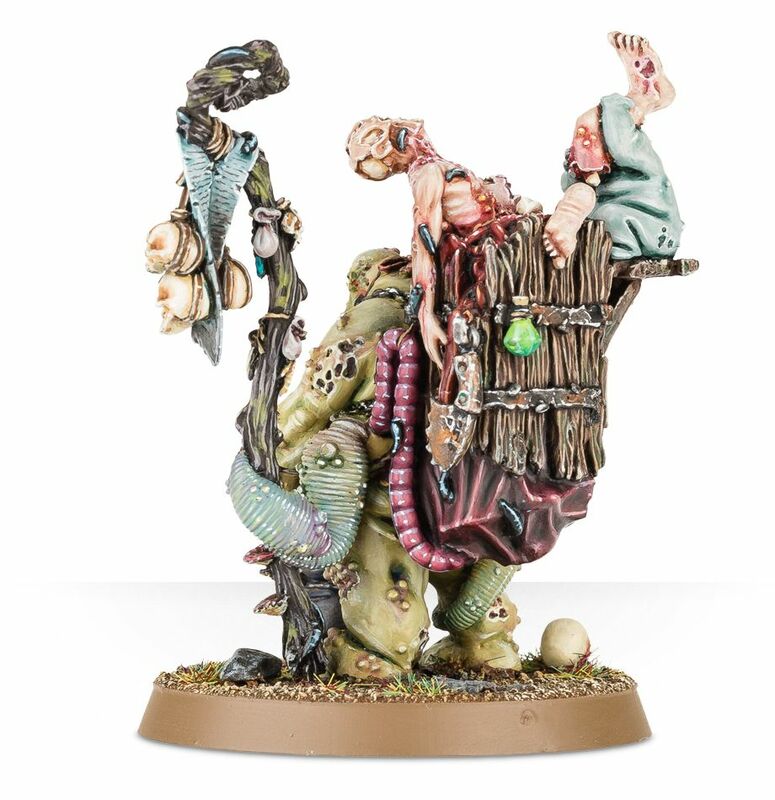 Cheerfully humming to himself in a jovial manner while stalking the battlefield, exuding sheer joy at the wonderful opportunities to experiment that the horrors of war present to him, Festus The Leechlord carries a veritable alchemical laboratory upon his back. 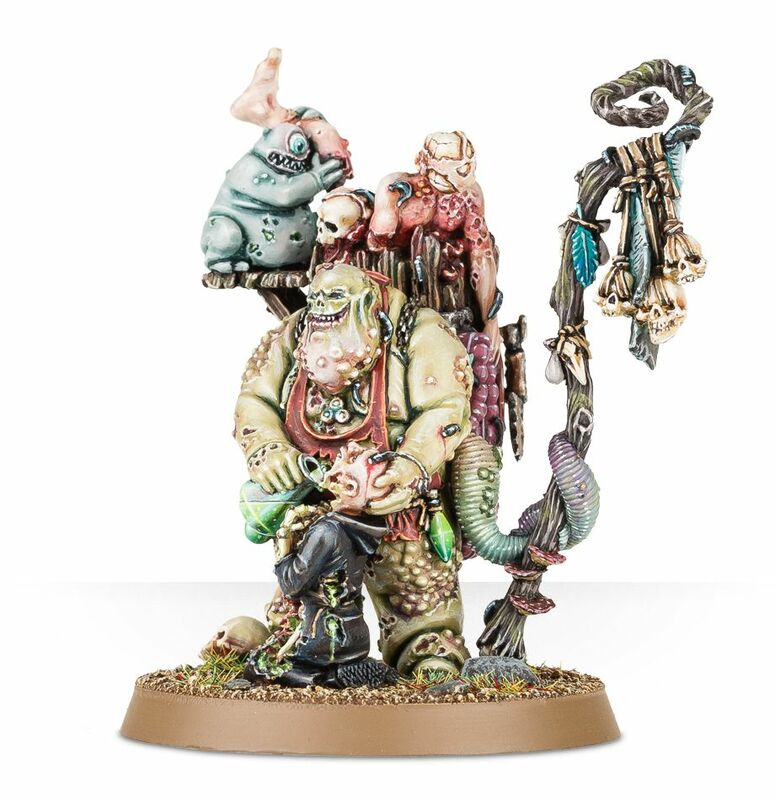 Bubbling alembics and clinking vials churn with unspeakable potions, which he happily administers to friend and foe alike. Those who share his constitution are revived by his vile concoctions, whereas the enemies he forces to imbibe often immediately dissolve, or even burst in a messy display of the power of Festus’ impressive medical negligence. 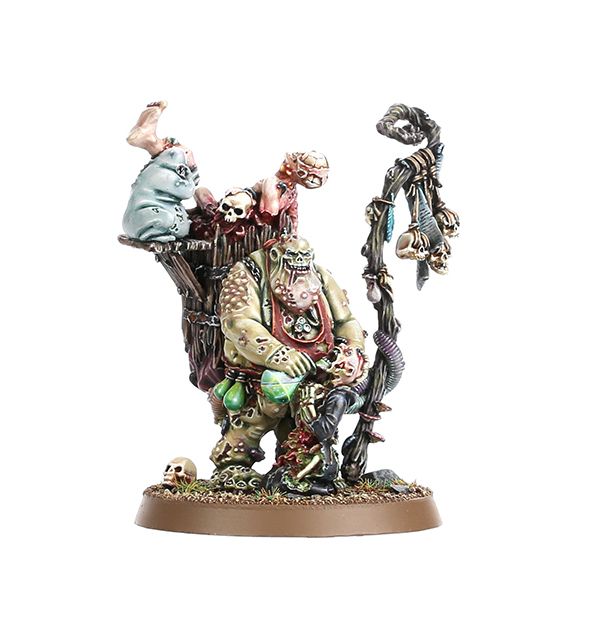 This finely detailed resin kit featuring the horrid, bloated form of Festus The Leechlord contains ten components and is supplied with a Citadel 40mm Round base. Submitted by Miniset on 17 August, 2015 - 13:08 (286592). 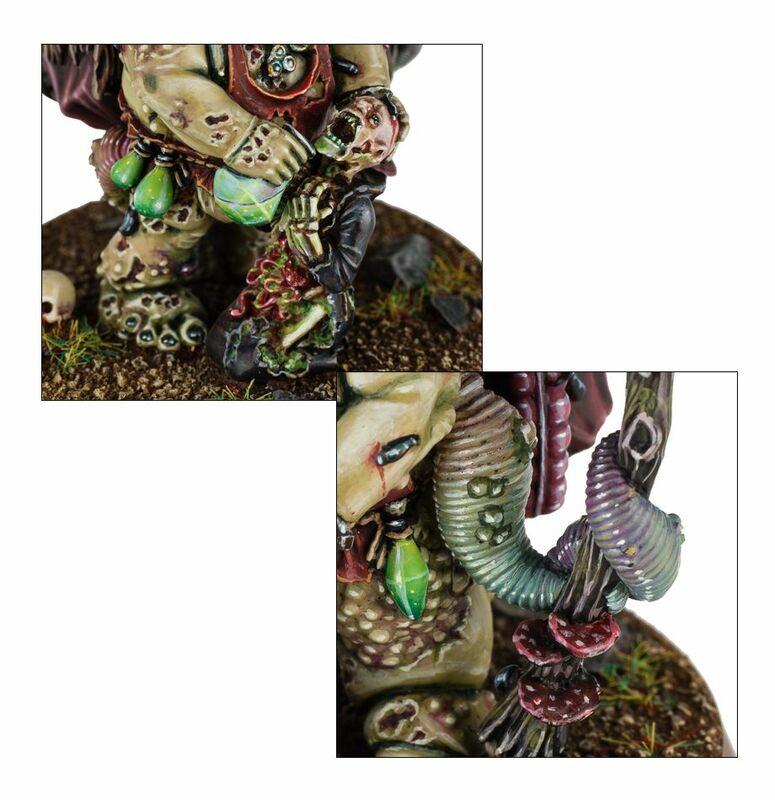 Found ebay links Searching for "festus leechlord nurgle rotbringers"